Are you looking to grow your business, not-for-profit organization or socially-driven venture and develop its capacity? Do you need an affordable and reliable location to carry out your programming and further your impact? AMPHS is now offering a social impact-driven office space use program for like-minded nonprofits and social enterprises. The AMPHS office is in a 1,200 square foot commercial building and includes a first floor entrance hall; second floor reception lobby; two work rooms with private desks, cubicles, workstations, computers; a large multi-purpose conference room seating up to 8 people with extra chairs for up to 20 and full AV capabilities; full pantry with refrigerator, microwave, and coffee makers; and bathroom. There is also a small library on-site with resources for fundraising, grant-writing, social media leverage strategies, health & wellness resources, etc. open for community use. 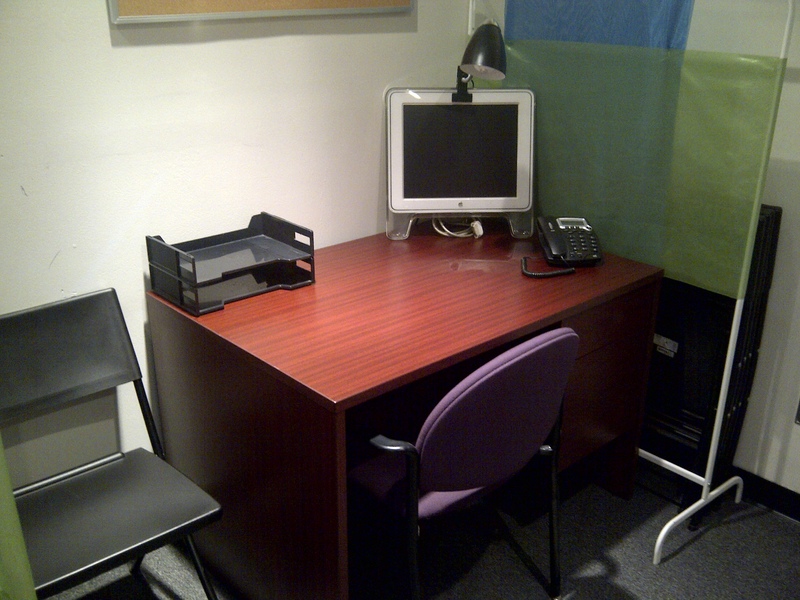 The office is entirely furnished – you can just come in, sit down, and get to work. Work areas include a private work room, a larger work room with a beautiful skylight, a large 2-person cubicle and two individual workstations accommodating up to 4 work areas (but can sit more than just 4), plus the conference room. 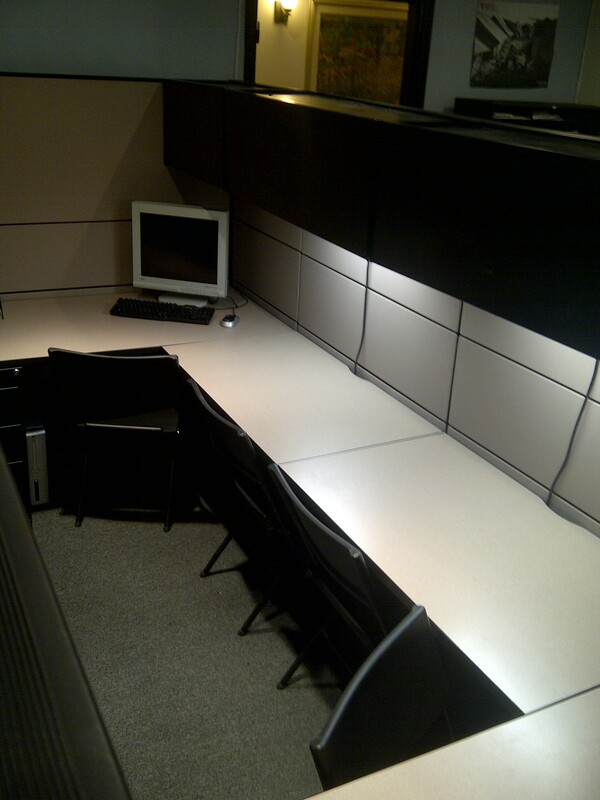 All are furnished with elegant desk and floor lamps, mahogany pedestal desks and padded work chairs. The conference room includes a 32″ TV, DVD and VCR player, projector screen and its own cappuccino machine and mugs. There are whiteboards, markers and erasers around the office; portable whiteboards, easels and projector screens for presentations; and a number of other resources available for occupants. The AMPHS office is centrally located in Sunset Park, one of the most diverse neighborhoods in NYC and about 20 minutes away from Manhattan, Queens, and other areas in Brooklyn. We are also conveniently located one block from the train station and the bus stop, two blocks away from Lutheran Medical Center, and a couple blocks from local community centers and organizations, the public library, council offices, etc. 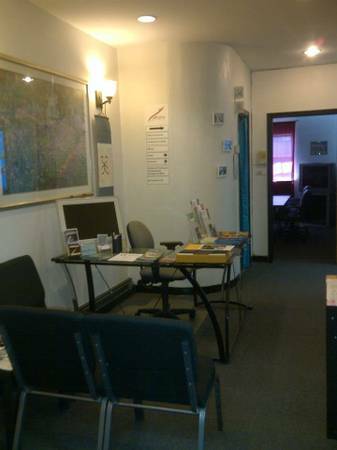 We are looking to share the use of this entirely furnished, well-kept, and resourceful office space for $1,250 a month, plus your percentage of utilities. You will have full access and use of the rooms mentioned above during weekdays Mondays to Fridays, including the front reception area and lobby. We are willing to work with organizations to develop an agreement that is suitable to both parties. Please contact hewett.chiu@amphsonline.org if you are interested.